Skidmarx have introduced a new range of screens to fit the current BMW S1000RR. The range includes a replacement standard screen, which comes in both clear and tinted versions and costs £59.95. There are also double bubble options which should boost wind protection at speed. The double bubbles come in three tint: a clear screen, a light tint and a dark tint for £64.95. For even more protection there is also a TT style screen inspired by the machines that hurl around the famous island circuit. The TT screens allow the rider even more protection from windblast and lets you tuck in without having to adopt a racing crouch. 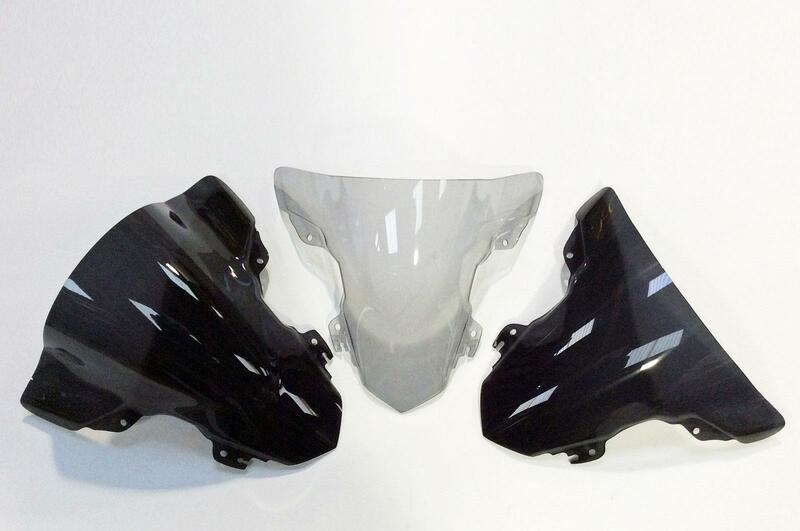 The screens come pre-drilled and ready to bolt to the bike and are made in the UK from 3mm acrylic. There are also race screens that are thinner and lighter than the road offerings, saving weight and improving optical clarity with prices starting from £49.95.